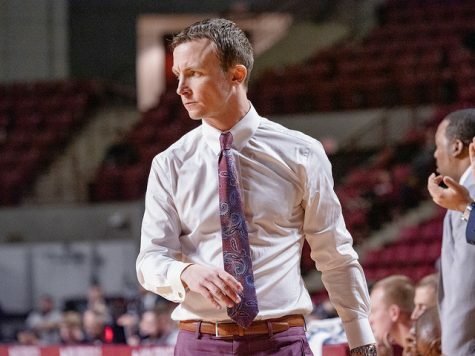 In Freddie Riley’s first game as a collegiate athlete, Massachusetts men’s basketball coach Derek Kellogg couldn’t wait long enough to pull his freshman out of the game. 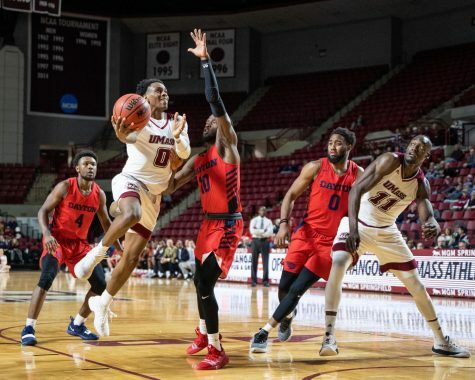 After going 1-for-9 in the exhibition game against Dowling, Kellogg criticized Riley’s shot selection and work ethic defensively, while Riley admitted that he was still learning to play tough on a consistent basis. 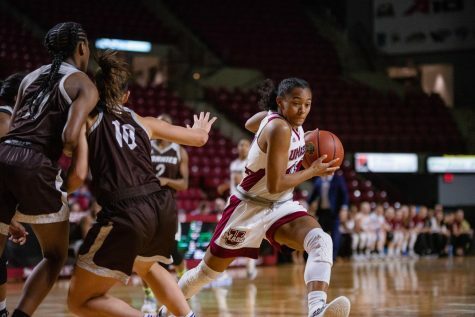 “I’m still trying to adjust to playing hard every play, but I think it’s going really well,” Riley said prior to the season opener against Central Florida. Against the Golden Knights, Riley put up 12 points, but did so on 4-of-11 shooting. He played about the same amount of time in both games, and finished with nine 3-point attempts both times. Last night against Cornell, Riley’s shooting percentage was much higher, as he shot only two 3-pointers the entire night. Although he didn’t play as much against the Big Red as he did in either two of the previous games, he showed several flashes of how high his potential is. 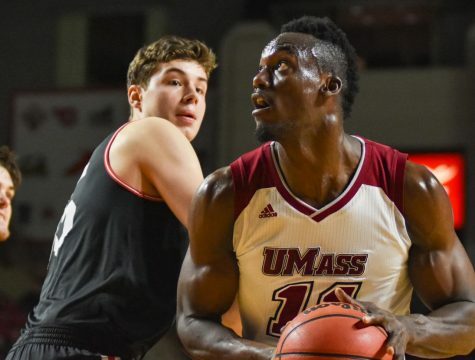 Riley came to the Minutemen as an Atlantic 10 All-Rookie Selection for his ability to get to the basket. Kellogg believes that in the coming years, the lanky guard can be a prolific scorer, because of how many ways he can get to the basket. Last night was the first time that Riley’s main offensive weapon wasn’t shooting a 3-pointer, but driving to the lane. 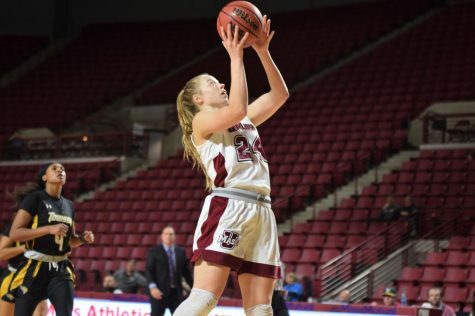 Riley finished with eight points in 13 minutes while shooting 50 percent. Late in the game, he picked up an offensive rebound off his own miss and made both free-throws after he picked up a foul. 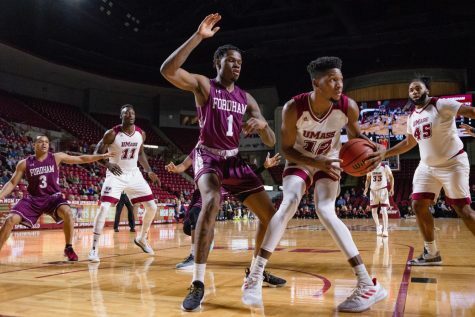 Kellogg felt that UMass as a whole improved its shot selection. 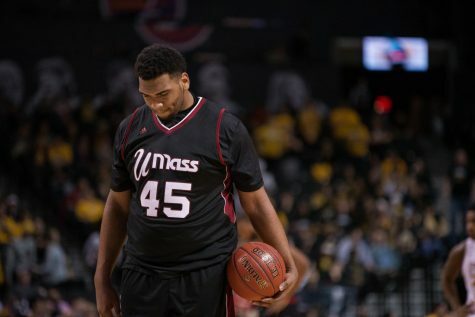 After putting up 38 3-point shots against UCF, the Minutemen finished with 16 against the Big Red. “I thought our guys in general did a better job of taking better shots and sharing the basketball and doing some good things,” Kellogg said. 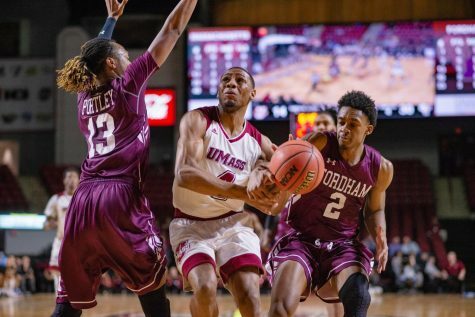 Even Cornell coach Steve Donahue noticed UMass played smarter offensively. “I think they’ve really respected that they have to go and play and grind it out, and I thought they made us work for things,” Donahue said. It’s easy to forget that at one point, junior Max Groebe played for the Minutemen. Groebe transferred after his freshman season, where he played 5.5 minutes per game. He was one of seven freshmen on the 2007-08 squad that saw four of its players transfer (Gary Correia, Trey Lang and Matt Hill are the only remaining players from that class). 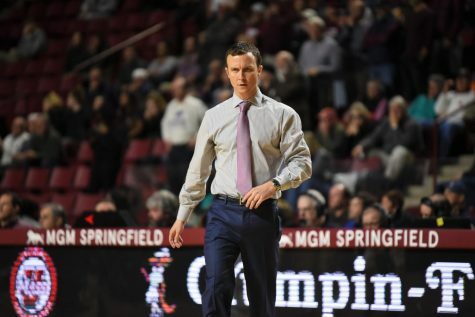 But when he returned to the Mullins Center, he made his mark in a relatively short amount of time. Groebe played eight minutes and shot 2-of-3 from beyond the arc. He made the first 3-pointer early in the game to give Cornell a 12-9 lead with 11 minutes, 51 seconds left in the first half. 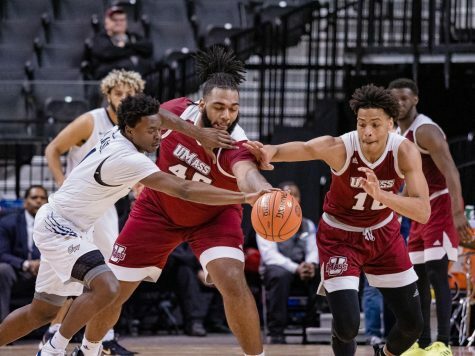 UMass never regained the lead from that point forward. Donahue isn’t sure what type of role Groebe will have down the road, considering his team is already established with proven veterans. However, he feels that whatever that role is, Groebe will fit in just fine.